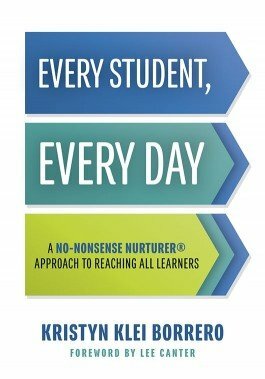 No-Nonsense Nurturers® are educators who build life-altering relationships with students, set high expectations for students, and hold themselves and their students accountable for achievement. Every Student, Every Day shares the lessons, mindsets, beliefs, strategies, and classroom expectations these high-performing teachers use daily to optimally support the needs of every student they serve. Gain effective classroom-management techniques and training and create a positive classroom culture. Access companion videos designed to deepen your learning of classroom management. Explore the No-Nonsense Nurturer® four-step model. Understand how to use an empowered mindset to create a positive learning environment, set classroom expectations, and increase student engagement. Complete activities that will help you reflect on your current classroom management techniques and determine next steps. “Every Student Every Day is a great read for all educators who work in or out of urban classrooms. I’ve seen Kristyn Klei Borrero single-handedly change the culture of a staff in a positive way. The way she cares for her students is amazing. This book is a must-read, a how-to resource if you want to promote high levels of learning in your school.